Further analysis by RespectAbility, a national, nonpartisan disability organization, shows that the Last Frontier faces serious challenges making such sentiments a reality. In the last year alone, Alaska dropped from 4th in the Nation in terms of jobs for people with disabilities to 12th as other states have rapidly expanded their economies. Alaska and Gov. 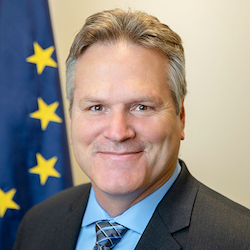 Dunleavy face serious challenges in terms of tight budgets and growing deficits. One point of hope, and a major legacy left by former Gov. Bill Walker, is the fact that Alaska has now banned companies from being able to pay employees with disabilities below the minimum wage. In a press release that accompanied the change, the Alaska Department of Labor and Workforce Development said that “Historically, minimum wage exemptions were considered necessary to help people with disabilities gain employment.” They went on to add that “Experience over the past two decades has shown that workers with disabilities can succeed in jobs earning minimum wage or more.” Employees with disabilities have proven to demonstrate productivity in the workplace when given the appropriate reasonable accommodations to meet their needs.